INDIANAPOLIS, IN — Alpha Sigma Tau Sorority is excited to announce two Educational Consultants have moved into new positions with Headquarters Staff. Emily Boockoff, Epsilon Sigma, is now a Chapter Services Specialist, where she helps with chapter operations and management. 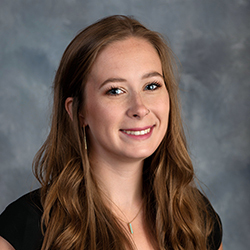 Sarah Pinkerton, Delta Pi, is now a Growth Specialist, overseeing efforts to help collegiate chapters with recruitment. Both started on staff as Educational Consultants beginning in the summer of 2016. 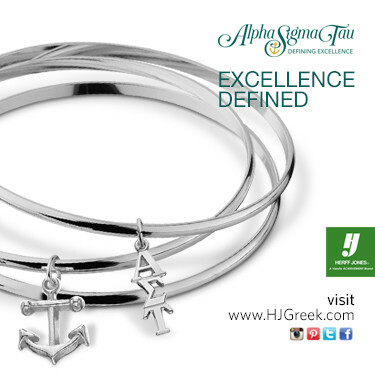 These positions reflect the Sorority’s focus on providing even more support to members and chapters. Emily holds a bachelor of science degree in early childhood education and a bachelor of arts degree in English from Bridgewater State University in Bridgewater, Massachusetts. She was a founding member of Bridgewater’s Epsilon Sigma Chapter and served as the chapter’s first president for two terms. 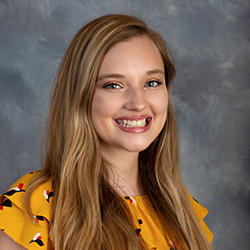 Emily was in the Departmental Honors program and was active in Sigma Tau Delta (the English honor society) and Kappa Delta Pi (the education honor society). She also was re-chartering member of the Rho Nu chapter of Order of Omega, a leadership-based honors society for fraternity and sorority members. Sarah holds a bachelor of science degree in biopsychology from Oglethorpe University in Atlanta, Georgia. There, she joined the Delta Pi Chapter. During her years as a collegian, she served as the chapter’s Director of Finance, Director of New Member Education, and Illuminate Senior Class Facilitator. She was inducted into Sigma Alpha Pi (a national leadership society) and served as the Oglethorpe Dance Team Captain.